It was a forgettable day for 2008 champion Sharapova, who was overhauled by local favourite Ash Barty 4-6 6-1 6-4 in the fourth round on Sunday. Sharapova was booed and heavily criticised after her bathroom break lasted seven minutes at the end of the second set in Melbourne. The five-time major champion received a time violation upon her return to the court, a decision applauded by the Rod Laver Arena crowd. Asked for her thoughts on the crowd's reaction, Sharapova replied: "What do you want me to say to that question?" "I think that's a silly question to ask," Sharapova said post-match. 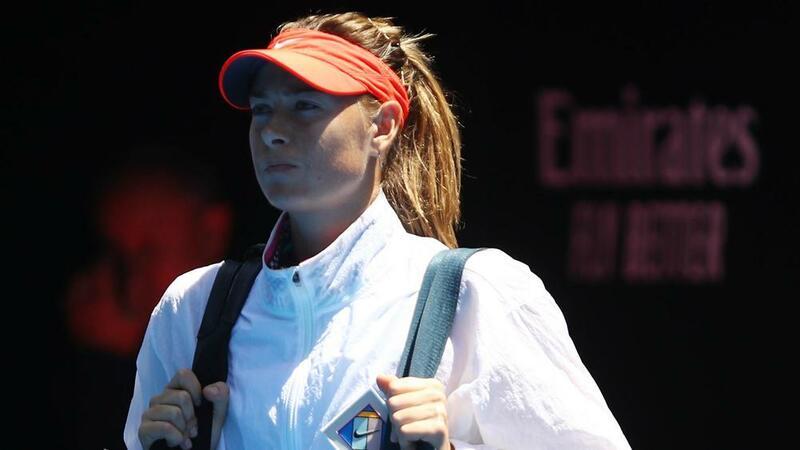 Attention then turned to Sharapova and the impact of having to find new medication to treat her medical conditions. Sharapova was banned for 15 months after testing positive for meldonium, which the former world number one said she had been taking for a decade due to health problems and had not realised it had been added to the World Anti-Doping Agency's prohibited list at the start of 2016. Asked if it was a struggle physically to cope with the demand of a slam fortnight now that meldonium is banned, Sharapova said: "Is there another question?"